Top quality products and timely deliveries: These core requirements determine our daily work. closely oriented along the demands of our customers, which is continuously optimized, a pro-active service as well as our high standard of compliance with diverse customer’s requirements set us apart. 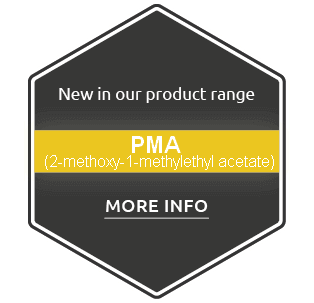 What chemicals do you need? Quality, quick response and a strong customer focus are paying off! Our next trade fair appearance is already in March. 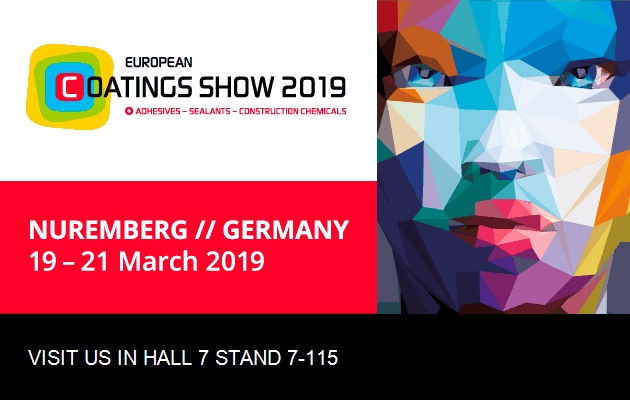 You can meet us at the European Coatings Show 2019 in Nuremberg. Over 25 years we have been providing our customers worldwide high quality products and an extensive Service. During this time we developed innovative solutions to react flexible to changes on this constantly changing Market and to be able to deliver products with constant quality on time. This is why we took over different parts of our logistics by ourselfes. To guarentee worldwide Service not just national, but also on the international Market, we have two more branches in China and Malaysia besides our german branch in Hamburg. Based on our certified Quality Management System we carefully choose our suppliers and service providers to fulfill the legal requirements at any point and furthermore always be a competent and reliable Partner to our customers and stand beside them to trade in chemicals. Besides our distribution business we have built up a very stable distribution with imported goods in the last years, enabling us to offer a broader range of products to our customers. The coorperative partnership and long-time loyaltiy of our customers proofs our work and at the same time is an incentive to continue to develop and improve. The chemical trade PENPET was founded in 1992. Till today it has developed from a family business to a middle-class company focused on the customer aim and to accomplish individual solutions. PENPET provides all products according to your individual needs worldwide. Our Service is labled on very high quality and high flexibility. We want to provide the highest levels of customer service. Therefore we have two more branches in China and Malaysia besides our german branch in Hamburg, because to us an on time support is important as well. Next to our main stock in Germany we have further stocks in Belgium, Holland and Italy which enables a fast and dependable delivery of our products. Also during the further development of our company our customers always stand in the first place. To us personal relationship to all our business partners is obvious.